The southwestern most part of Queens, at the end of the Rockaway Peninsula, is Breezy Point. 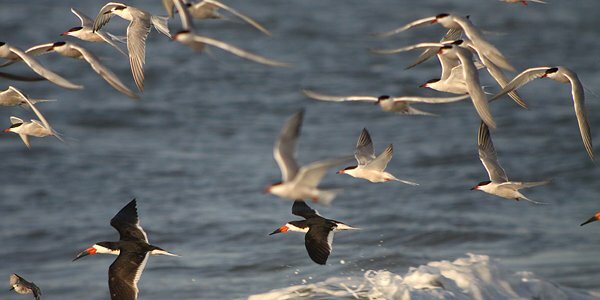 The small community out there is lucky to have a large Common Tern colony that also hosts breeding Black Skimmers and Least Terns, to say nothing of the Piping Plovers and American Oystercatchers that breed out on the barrier beaches as well. May is a great time to visit, before all of the birds have completely finished pairing off and getting down to the business of nesting, not only because this reduces the likelihood of disturbance but also because other species often stop by on their way north, something I learned a couple of years ago while doing a Queens big day. That second-summer bird in the top left (the one with the dark bill and incomplete cap) gave me fits when I first spotted it on the beach because it had very short legs. 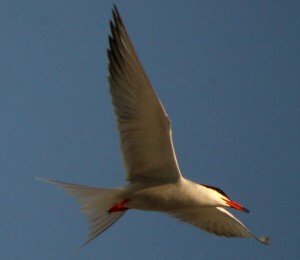 Tai Haku was almost proven prophetic with the prediction that I would find an Arctic Tern in Queens but, sadly, I realized that the bird’s short-legged appearance was simply because it was standing in a hole. Darn it. You know what wasn’t standing in a hole? 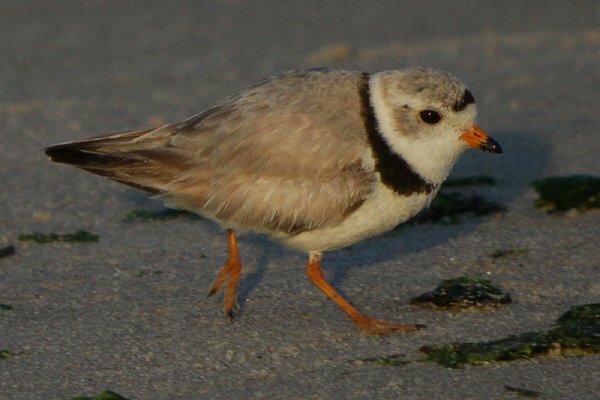 This Piping Plover. I don’t know if the local birds are still augmented by some that need to go further north but the numbers of Piping Plover at Breezy Point this year seem higher than I can remember seeing in the past. That is, of course, pretty darn good news. The other plover I had on both of my visits was Black-bellied Plover. They are neat to see this time of year because the advance of their molt is so varied. Some are already in high breeding plumage while others are mired in drab near-basic. The bird below is most of the way to its breeding finery. 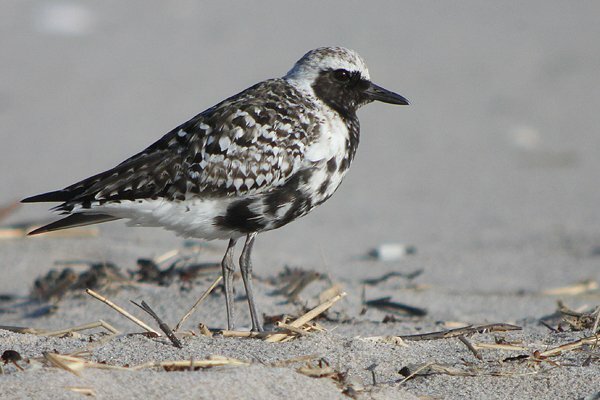 Black-bellied Plovers often overwinter along the Long Island coast but they breed way up north, of course. I’ll miss them while they are gone. How could I not? You know what else I would miss if there was ever a day when there were none in the state? 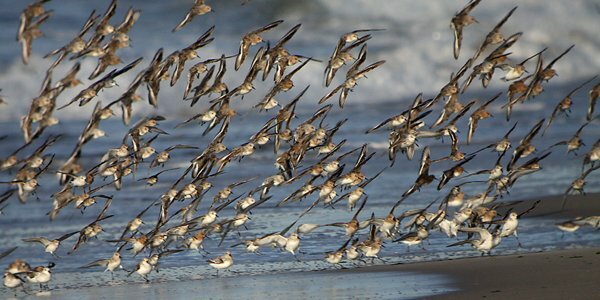 Sanderlings. But it seems that there are always some Sanderlings somewhere despite their northern breeding grounds and I for one am not going to complain about that. Of course, one of the main attractions of visiting a tern colony is the sheer volume of birds. 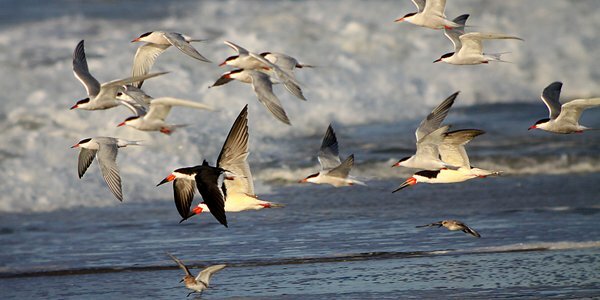 At one point something caused most of the birds on the beach to flush and fly out over the ocean. I captured this video as they returned to shore. How many birds do you think are in the video? Lots of birds, right? And when there are lots of birds there is bound to be something good mixed in if you are willing to spend time searching through them with a scope. Sure enough, on both days I found a single Black Tern. Even though I didn’t find anything spectacularly rare it didn’t matter one bit. Being on the beach at and just after dawn surrounded by birds is reward enough for me and, I imagine, for most birders. If you can get out to a breeding colony you should definitely do it. Just make sure to respect the birds and keep your distance and try to minimize any disturbance. 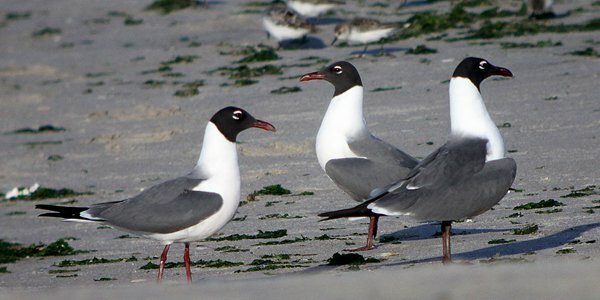 Beach-nesting birds have enough issues to deal with when you consider habitat loss, irresponsible beach-goers, introduced predators, and all of the other challenges they face. And you do want the colonies to be around for years and years to come, right? Awesome pics, Corey. Love those plovers!